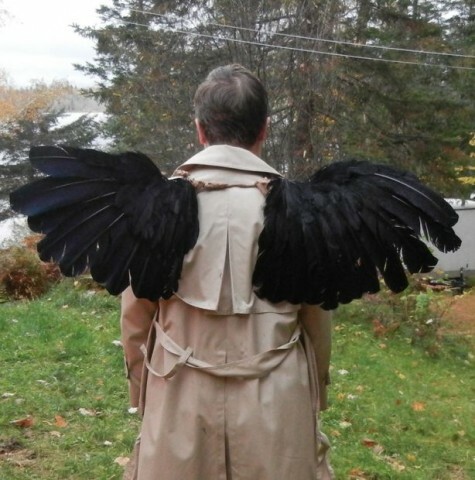 Supernatural Castiel Angel Wings How-To « Adafruit Industries – Makers, hackers, artists, designers and engineers! 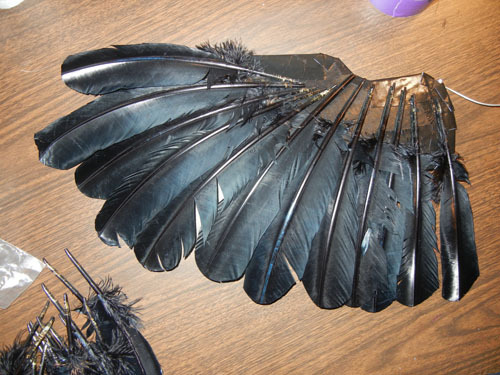 Use the steel wire to create a wire framework that roughly follows the shape of the wing bases. The wire framework will be stronger if it is one continuous piece of wire – wrap and bend where the wire overlaps itself rather than cutting. The only cut that should be made is at the end to separate the wire from the main coil. 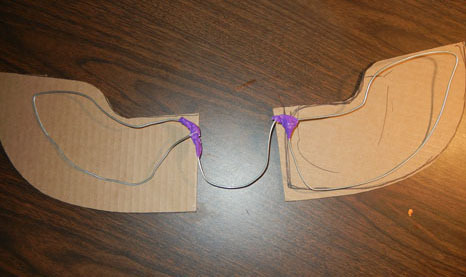 Duct tape over any wire wraps or bends to re-enforce the connection and cover any sharp edges. 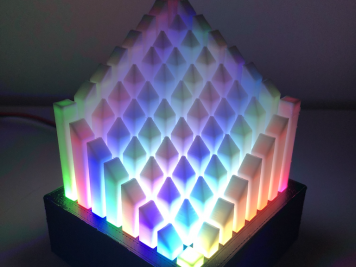 Check out a few in-progress pictures below and see additional ones at Instructables.